Traditional watchmakers are in a bit of a bind with the launch of the Apple Watch. Do they just ignore it, or do they make fun of it—and in so doing, admit its buzzworthiness and give it that much extra attention? Shinola is going with the latter approach, launching ads from Partners & Spade in The New York Times and Wall Street Journal (suitably old-school placements, naturally) that rib the wondrous new Apple device, which is finally available for pre-order today. Smart enough that you don't need to charge it at night. Smart enough that it will never need a software upgrade. Smart enough that version 1.0 won't need to be replaced next year, or in the many decades that follow. 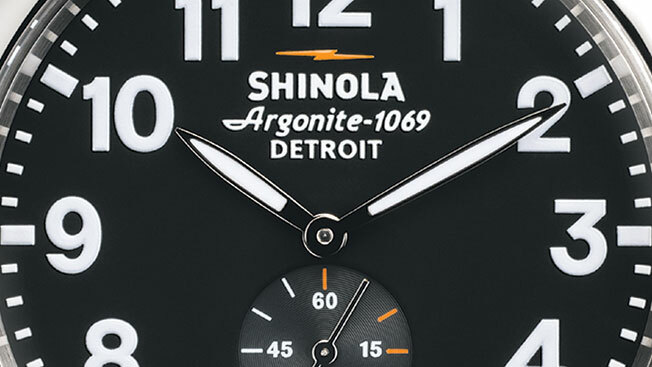 Built by the watchmakers of Detroit to last a lifetime or longer under the terms and conditions of the Shinola guarantee. Yes, the watch might be old school, but the snark is very modern day. Full ad below.